Begin the process to get the money for your business or project now and let Business Money Source know the kind and amount of funding that you are seeking, by filling out the business loan form below. If you are not quite sure about what kind of business funding that you need or what loan amount you or your business may qualify for, it is even more reason to fill out the Initial Business Loan Form below and allow Business Money Source to assist you in determining the business funding that makes the best economic sense for your business situation. Why wait? Get money for your business now! Don't forget to fill in the security key before submitting your form. 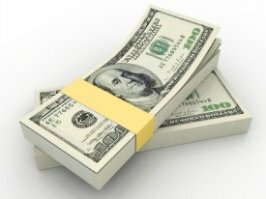 Business Money Source has many different loan programs that offer various kinds of funding for your business. It is likely that your business may qualify for one or more of these these business loans, business lines-of-credit or hard assets loans. Don't wait! Start now by contacting Business Money Source with the short secure form above. Business Money Source looks forward to assisting you in acquiring the financing that you are seeking. Leave the Business Loan Form page and return to the Homepage.